All of the news industry's anxieties and hopes and fears are symbolized by Apple's newest app. It's called News. That's it: News. The name sounds confident and all-encompassing. But once you have something like the News app, algorithmically compiling stories from the world's biggest media organizations, what happens to existing news sites and apps? Who will control the distribution of the news? These questions are a source of apprehension among many journalists nowadays. In a war for the audience's attention, technology giants like Apple are winning, leaving news organizations wrestling with a new question: What do we do? Facebook has a similar venture, where it's hosting articles from publishers like The New York Times within its social network, and there's speculation that Google may follow the same path. BuzzFeed CEO Jonah Peretti calls it being "agnostic" about where users read BuzzFeed's stories and watch its videos. "In an ideal world, we would be indifferent to where our content is consumed," he said in March. "We would want to do whatever is best for the consumer." Other media executives are speaking in similar ways, conjuring up the old line about fishing where the fish already are. News stories on Snapchat are another example. But not everyone shares Peretti's indifference. Reaction to Monday's app announcement by Apple exposed the nervousness and outright fear that exists in many journalism circles -- fear of, as pioneering blogger Dave Winer put it, "huge tech companies owning the news distribution system." Technology journalist Dan Gillmor, now at Arizona State University's journalism school, framed it this way in a tweet: "News orgs flail helplessly as domineering companies like Facebook and now Apple take control over consumption." The News app -- which will be a personalized magazine of sorts, with a wide range of news stories and sources -- "reminds us that most news companies don't control their own futures. The platforms do. Brutal reality," wrote Austin Allred, the co-founder of Grasswire, which calls itself a crowdsourced newsroom. Winer tweeted a message to the news industry on Tuesday morning: "See what Apple just did? What Facebook is doing? You all need to do that for yourselves." It may be too late. Joshua Benton, who heads the Nieman Journalism Lab, has taken to calling 2015 the "Year of Distributed Content." Distributed, in this case, means through Snapchat or Apple's app or Facebook's Instant Articles experiment or whatever comes next. Participating news outlets will keep 100% of the money they make by selling ads attached to their articles. 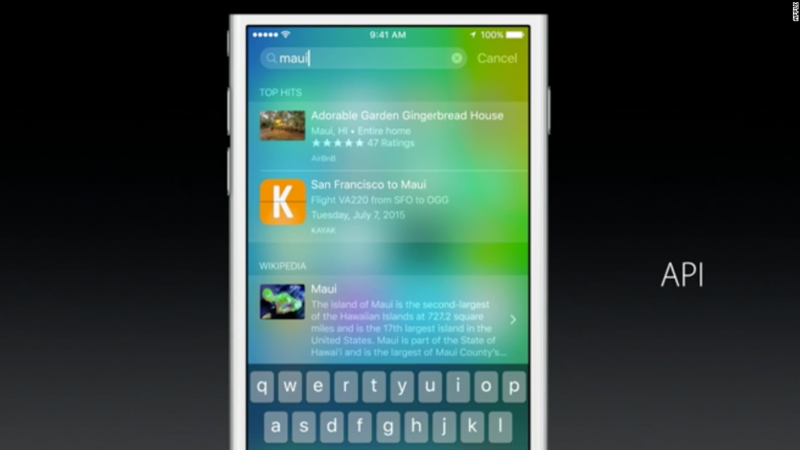 But they'll cede some control over the news reading environment to Apple. "Individual news apps and individual news brands aren't the primary point of contact with news any more," Benton wrote on Monday. "They're raw material, feeding into broader platforms. The loss of power for publishers in that exchange is obvious; the potential benefits remain mostly undiscovered." 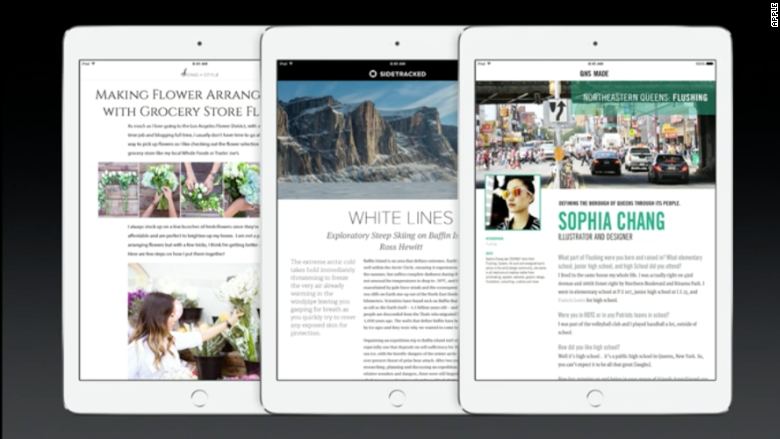 Matt Galligan, who co-founded the news app Circa, said this shift will be "great for the consumer" and for publishers who take advantage of it, but "the death knell for the stubborn and slow." In a Medium post, he predicted: "No longer will we be loyal to any one news provider, but rather, we'll be loyal to the places that deliver us news right within the products we love. It will be a tumultuous time and a rude awakening for anyone believing that they can shore up their traffic and keep people coming back to their properties alone." Left mostly unexamined, so far, are the effects of this shift on smaller news outlets -- on local newspapers, on startups outside New York and California. Apple's initial partners are big companies like Conde Nast and ESPN, though others can sign up. Also largely unexamined: the challenges that come along with covering the same technology giants that news organizations are relying on for revenue. That's one of the reasons why Ryan Tate, deputy editor at The Intercept, tweeted that the Apple arrangement is "terrifying." What happens, he and others wondered aloud after the News announcement, when a publisher reveals embarrassing news about Apple? Will the news appear in News? The trepidation may prove to be misguided. Clearly many employers of journalists -- including my employer CNN -- have decided that the deals with Facebook and Apple are worth trying. Mark Thompson, the CEO of The New York Times Company (NYT), told Mashable that the potential gains are enormous. "Occasionally people write about this as if we never think about risk and reward," Thompson said. "The benefits of participation in other peoples' platforms is potentially vastly greater distribution than we could ever expect to do quickly with our own digital offerings." John Skipper, the president of ESPN, also pointed to the journalistic enhancements that new mobile-friendly designs allow. To boil it down to two words: better story-telling. "ESPN fans are incredibly engaged in the way they consume our content, so the more vibrant experience we can offer, the happier they'll be," he said in a statement for Apple's press release about the app.